Discussion in 'Canadian Stocks Message Boards' started by Kayakfan, Dec 14, 2016. 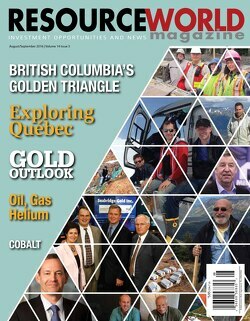 As there is no thread about this lithium and gold explorer, I would would like to take the initiative and start one. After developing their gold projects in the last years, Iconic now concentrates on its high potential Lithium Asset Bonnie Claire Valley Project in Nevada, US. Results from the first test well were published late September this year. Lithium values ranged from 960 ppm to 2.550 ppm and are highly anomalous for a total of 1,180 feet (the average lithium value for this intercept is 1,307 ppm). Supported by those great results, a second exploration monitor well was initiated. Results by this second well are due any day now according to management. Please feel free to add your thoughts on this opportunity. I'll try to gather and provide more information on this company and post it here. Xa¡on and T0rm3nted like this. I'm already a shareholder of ICM but highly appreciate your effort to bring this stock to the attention of more people. I'm not a charting guy but the chart really doesn't look that promising right now. The way I see it is, that there are a few reasons for the pressure. It's safe to say, that this stock is little-known as yet. The Sarcobatus Flat is underexplored and highly promising. Please note that ICM is the largest claimsholder in the valley and also first mover here. The Property is located within a valley that is approximately 30 km (19 miles) long and 20 km (12 miles) wide, the associated drainage basin covers an area of 2,070 square km (800 sq mi). Quartz-rich volcanic rocks, that contain anomalous amounts of lithium, occur within and adjacent to the drainage basin. Geochemical analysis of the local salt flats has yielded lithium values up to 340 ppm. The gravity low within the valley is 20 km (12 miles) long, the current estimates of the depth to bedrock range from 600 to 900 meters (2,000 to 3,000 feet). The current claim block covers the gravity low and the associated mud flats. See it for yourself and share your thoughts ! Thanks for your reply and the additional information. If you have a look at the chart, I fully agree, doesn't look encouraging. But it's often the case with such thinly traded small caps. It's relatively easy to bring down the price with a small effort. Those companies are mainly driven by news and tend to react strongly to positive/negative news. But if there is no release for a couple of weeks, buyers are waiting for lower entries and many stockholders get impatient. And with explorers you've got to be especially patient. It's always a gamble but with high rewards, if it plays out favourably. Tax-loss selling may also be a reason at the end of a year. Iconic announced, that they've finished the second test well with a drill hole completed to a depth of 1,980 feet. It shows a substantial rise in conductivity around 800 feet. This conductivity is thought to be caused by brine. Those brine samples have been submitted to an independant laboratoy and as you already mentioned, results are overdue. According to management they assume results being available before Christmas. Let's see how it works out and if those promising ppm values from well 1 are confirmed. In addition, I'd like to mention that the initial drilling program consists of 3 vertical drill holes but the BLM has already granted ICM the right to drill a total of 6 holes (ICM initially applied for 8 holes). Furthermore, the Nevada Division of Water Resources has granted water permits to convert three exploration drill holes into monitor test wells. These permits will allow the Company to complete required testing, for future conversion into production wells. To cut a long story short, ICM could proceed without any further delays in case that the brine sample results of test well 1 and 2 are as good as expected. Although the management team / BOD is largely unknown, two of the technical advisors are top nobs which is a good sign. Dr. Shaw has over 30 years’ experience in resource and finance industries, with specific emphasis on technical and financial due diligence of resource projects. He has in the past worked with Chevron Canada Resources in their metal and hydrocarbon exploration programs, and with Yorkton Securities Inc. in their Corporate Finance department. In 2009, Dr. Shaw was Chairman of Salares Lithium Inc., where he assisted in the development of their Chilean lithium brines project. That project was subsequently acquired in 2010 by Talison Minerals Pty., an Australian corporation, which then formed Talison Lithium Inc. (“Talison”), which some consider to be the world’s largest pure lithium company. Dr. Shaw served as a director of Talison until it was acquired by Chengdu Tianqi Industry Co., Ltd. in 2013 for over CDN$800 million. With over 35 years’ expertise in the oil, gas and mineral resource industries, Dr. Hutcheon obtained an Honors B.Sc degree in Geology, Earth Sciences/Geosciences from the University of British Columbia, in Vancouver, B.C. in 1969, and a Ph.D. and MSc. in Geochemistry and Petrology from Carleton University in Ottawa, Ontario in 1977. For 24 years Dr. Hutcheon was a Professor at the University of Calgary, where he taught and researched Petroleum Geology and Environmental Geochemistry. In 2002 he received Emeritus Professor status from the University of Calgary. Dr. Hutcheon also consulted on the lithium brines project in the Chilean salares that was acquired in 2010 by Talison. In 2014, Dr. Hutcheon received the Vernadsky Medal from the International Association of Geochemistry. Dr. Hutcheon currently consults on oil fields projects specifically, with issues relating to scaling, and water and acid gas production in conventional, CO2-assisted, and steam assisted recovery. Last but not least ICM has optioned two addition lithium properties in Nevada (subject to approval by the TSX). Property A is a lithium brine target, which is located within a valley that is over 40 miles (64 km) long and averages 9 miles (14.5 km) wide into which streams from a 582 mi2 (1,507 km2) drainage basin empty. The source rocks are quartz-rich volcanics that contain anomalous amounts of lithium. Sampling of salt deposits down-slope from active thermal hot springs resulted in lithium values ranging from 110 to 470 ppm. A gravity low within the valley is 9 miles (14.5 km) long. The current claim block covers the gravity low. Property B is also a lithium brine target, and is located within a valley that is over 34 miles (55 km) long and averages 7 miles (11 km) wide into which streams from a 595 mi2 (1,541 km2) drainage basin empty. The source rocks are also quartz-rich volcanics that contain anomalous amounts of lithium. Sampling of salt deposits in the basin found lithium values ranging from 60 to 510 ppm. The highest lithium value of samples taken, being 510 ppm, was taken down-slope from active thermal hot springs. A gravity low within the valley is over 10 miles (16 km) long. The current claim block covers the gravity low. Final arrangements are currently being scheduled to conduct magnetotellurics (MT) surveys over both properties to define potential brine horizons. As always I'd recommend to read all the SEDAR filings before buying any stock. Annual report for financial year 2016 due by the end of the year. there is a news release from last night, which is very encouraging. Those values are really good and with a leaching process it should be possible to extract lithium carbonate to a high recovery rate. The sediment assays average 1,153 ppm Li over the 1,560 feet (475 m) depth of the drill hole with the highest value being 2,550 ppm Li. Additional metallurgical testing is planned to determine if either bulk mining and heap leaching or in-situ leaching may be feasible for lithium recovery at Bonnie Claire. Brine assays from both BC1601 and 1602 have now been received. Analysis was done by Western Environmental Testing Laboratory of Sparks, Nevada. A highly anomalous brine sample was taken at 1,500 feet (457 m) in BC1601 which assayed 132 ppm Li. Thats comparable to the brine values from Pure Energy but Iconic has to proceed the drilling as the anomalous values were found at the ground of the drill hole. The way I see it is, that market participants misunderstood the news completely. Copper, uranium, lithium, potash, rock salt and boron are under certain circumstances amenable to non-invasive mining methods called in-situ ('in place') leaching (ISL), in-situ recovery (ISR), or solution mining. • The host geological formation must be porous and permeable so that the solutions will flow through the mineralized areas. • The permeability must be uniform. • The mineral must be soluble under certain easily produced conditions. ... the lithium content of BC1601 is highly anomalous for a total of 1,180 feet (360 m). The 360 feet (110 m) of samples taken from between 980 feet (299 m) and 1,340 feet (408 m) averaged 1,730 ppm lithium. The average lithium value for the entire 1,180 feet (360 m) intercept is 1,307 ppm." ... the sediment assays average 1,153 ppm Li over the 1,560 feet (475 m) depth of the drill hole. ... three samples from different elevations of the 1,560 feet (475 m) thick, continuously mineralized section of fined grained sediments show leach recoveries of 98, 93 and 89 percent Li, leaching with dilute acid. ... BC1601 has low gamma intercepts, indicating coarser, more permeable sediments. ... XRD results show the sediments, dominated by very fine grained particles, are made up of common volcanic minerals and only minor clay minerals. 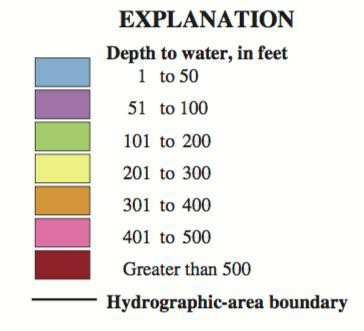 According to an USGS report depth to groundwater is 1-100 feet in this area. 89% of 1,153 ppm (average lithium content over 475m) is 1,026 ppm. An artificial lithium brine with this lithium concentration would be outstanding. Pure Energy in Clayton Valley has an inferred resource of 102 mg/L and best average lithium concentrations in CV-1 of 209 mg/L and CV-3 of 175 mg/L. Some wells of Albemarle's Silver Peak mine in Clayton Valley are in production with lithium concentrations in the brine less than 100 mg/L. Looks promising to me so far but my opinion only. @Xaion, thanks again for your interesting input. The stock price development is disillusioning at the moment to be honest. Although we've seen a positive news release and plenty of potential with leaching possibilities of the lithium rich sediments, the selling pressure is still high. Iconic now needs to explain in a simple way how to interpret the results and what steps will follow. A business outlook for 2017 and as a sign of confidence an insider purchase might help to gain back some conficence. Xa¡on and StockJock-e like this. @Kayakfan - you're welcome and I totally agree that we need more information straight from the horse's mouth. I'm sure that a lot of things are discussed behind closed doors and I'd like to be a fly in the wall... Lol. I totally agree that a Business Outlook 2017 would help and in addition an up to date presentation with more bachground information would be fine. What can shareholders expect and what are the general milestones, what about the two additional optioned properties, what about the three Gold properties. It's also important to find an reliable partner to further advance the project(s) and strengthen the share register. To much shares in freefloat right now. Purchases by management or insiders would help as well to create confidence. Nevertheless it's not that easy considering the blackout periods. Audited financial statement 20156 is due by end of December and they are not allowed to buy / sell for a certain amounts of days before and after release. • prohibits trading for a specific period of time after a material announcement has been made. Undoubtely we'll see a privat placement / CR in the not to distant future. Hopefully ICM has an ace up their sleeve otherwise current shareholders will face a lot of dilution at a high discount in comparison to the last 0,20 CAD placement. As already mentioned in #2 I'm of the opinion that what we see right now is an example par excellence of tax-loss selling. But sunshine comes after rain as you know again. December 23 is the last day for Canadian (and US) tax loss selling. And as hard to believe as it might sound, I would say it's in our own interest that management puts all cards on the table AFTER Christmas and not before. News out. Iconic plans small placement of $500k. the company will issue up to 4,545,454 units at a price of 11 cents per unit, each unit being composed of one common share and one-half share purchase warrant, each whole warrant being exercisable into one common share for a period of one year from the date of issuance at 20 cents per share. Size of placement is small and it will bridge the time until a cornerstone investor or strategic partner is found. Let's see if they need it and if there is already somebody waiting for the entry. I just came across a quotation from a German shareholder who is in contact with someone from ICM management. "Secondly, the Company is currently drafting a "shareholder letter", which will also be available in the New Year. It will provide a summary of operations/corporate events from the past year, address some of the issues that the Company encountered, provide status update for all of our projects, as well as our strategy and target milestones going forward. "Thank you once again for your email and your interest in the project. The Company does have a strong technical team, with very positive, and significant potential in our project(s) development, which will most certainly begin to unfold in the next year." "Thank you once again for your email and your interest in the project. The Company does have a strong technical team, with very positive, and significant potential in our project(s) development, which will most certainly begin to unfold in the next year." Another successful roadshow for lithium exp #iconicminerals in HKG and SG this week, over 14 meetings arranged over 3 days. Just in.. lithium explorer iconic minerals trading below PP price. Are they open for a bought-deal? II've rather got the Impression that a prospective investor comes from Hong Kong or Singapore ? Vancouver, British Columbia--(Newsfile Corp. - December 22, 2016) - Iconic Minerals Ltd. (TSXV: ICM) (FSE: YQG) announces that on December 22, 2016 it received conditional acceptance from the TSX Venture Exchange to close the first tranche of its private placement (refer to ICM News Release dated December 21, 2016). In accordance with the provisions of Subscription Agreements, on December 22, 2016 the Company issued a total of 1,181,818 Units at a price of $0.11 per Unit, each Unit being comprised of one common share and one-half share purchase warrant, each whole warrant being exercisable into one common share on or before December 21, 2017 at $0.20 per share. A total of $6,600 cash and a non-transferable Broker's Warrant to purchase up to 60,000 shares of the Company at $0.20 per share on or before December 21, 2017 was paid / issued as a finder's fee to Raymond James Ltd. in connection with this first tranche closing. These shares, together with any shares that may be issued on exercise of the warrants and Broker's Warrant will be subject to a hold period under applicable Canadian securities laws expiring on April 23, 2017, and will be subject to such further restrictions on resale as may apply under applicable foreign securities laws. The Company anticipates closing the balance of this financing shortly. FYI - two purchasers/investors from British Columbia contributed money to this first tranche. There is barely any media coverage as yet, but I came across an article in the RESOURCEWOLRD magazine (August/September 2016) which I'd like to share. This stock looks promising and i like to keep this in my watch list. By the look of it one trader/shareholder decided to sell 295k in one move with limit 0,12 CAD yesterday. Seriously, either he's a dabbler or his goal was to stop the upmove and make the chart look bad again. Either way we can't change it. Let's hope we'll receive an update from ICM soon.